Rain-Flo's flat bed mulch layer plasticulture equipment model 345 can lays 36’’, 48’’ or 60’’ wide plastic mulch film or Bio360 mulch film. 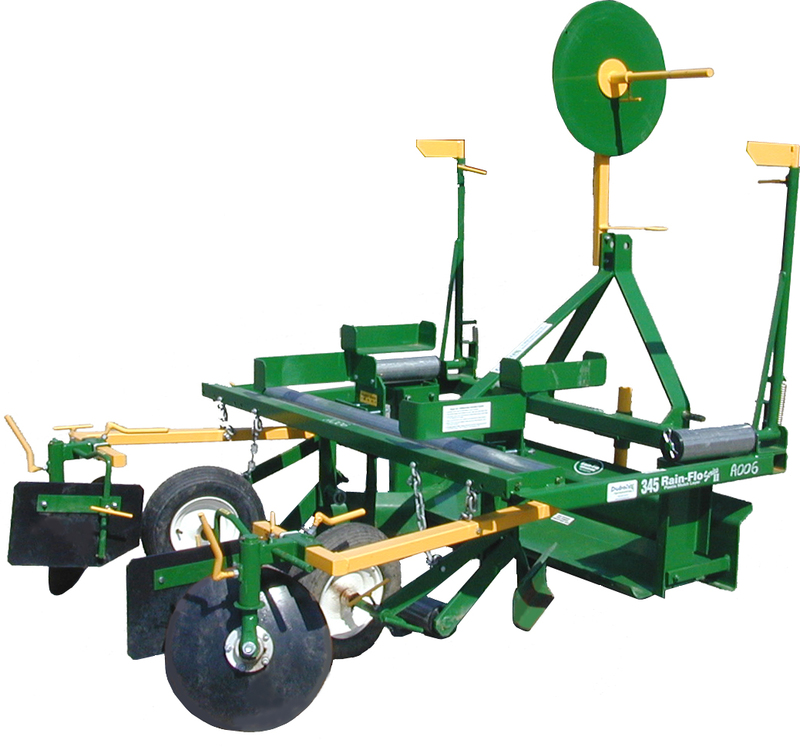 This mulch layer has an independent levelling blade that floats, and a bed press. The specially designed levelling blade does an excellent job in levelling uneven soil, eliminating low spots in the beds that fill with water.